2011 started off just well. Every year 15 million children die of hunger. With a world wide rise of prices in food the international community began the count down to next year. There are news can be shocking, and news that seem to be important. Then there are news that really affect the people. Rise of food is one of those news. The BBC reported and clicked away on a keyboard, "North African neighbors Algeria and Tunisia have both seen widespread rioting and fatal clashes with police in recent days." And was violence a reaction anyone expected? Meanwhile the new world population, which has increased almost to 7 billion, takes it daily time to find or buy food. Every year 15 million children die of hunger. Is food politics? Is food an essential Human right? Much like water? But if we go the opposite side, we have droughts, and both floods and droughts affect the price of food. Every year 15 million children die of hunger. 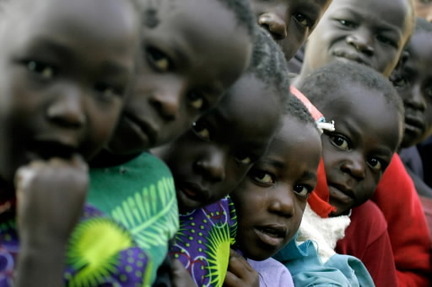 So, food price rises, and rises, and rises and rises, the numbers come... Every year 15 million children die of hunger. The question comes... Is Food a Human Right? Prof. De Schutter said, "The right to food is not the right to be fed. It is the right to access the means to produce food or to obtain an income that enables the purchase of adequate food. Political will is needed to tackle the structural flaws in the global food system. " We encourage you to comment. Act as if you care. Comment and who knows maybe you might just win...an opinion.